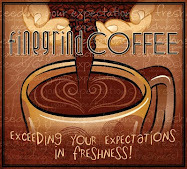 So if you are like me Christmas week makes for a busy week of creating for the upcoming holiday. I am busy making tags for gift bags and then little gifts to give to crafty friends. 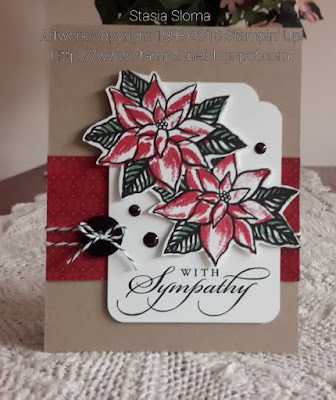 I even had some leftover poinsettias that I stamped that I made a sympathy card to add to my card stash. 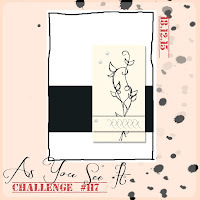 Thank you As You See It for the sketch challenge to inspire my creativity. 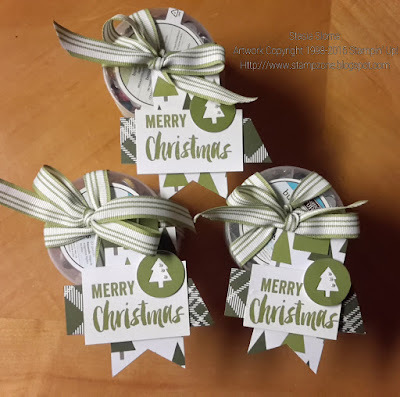 The Holiday stocking gift tag is made mostly with products I had in my crafty stash. 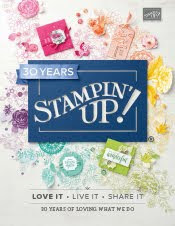 The only things that are Stampin' Up! products are the card stock, the Cheerful Tags stamp set and the Note Tag Punch. Lastly, I had some paper crafters over for our annual Christmas crop. As always it was very productive lots of creativity was occurring. 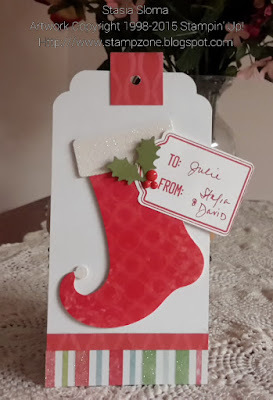 My busy little crafty elves were catching up on last minute projects to mail and to deliver. I put together a three pack of crafty embellishments to give to my croppers. I topped the gifts off with a cute little tag. Beautiful poinsettias! I love the classic look here. 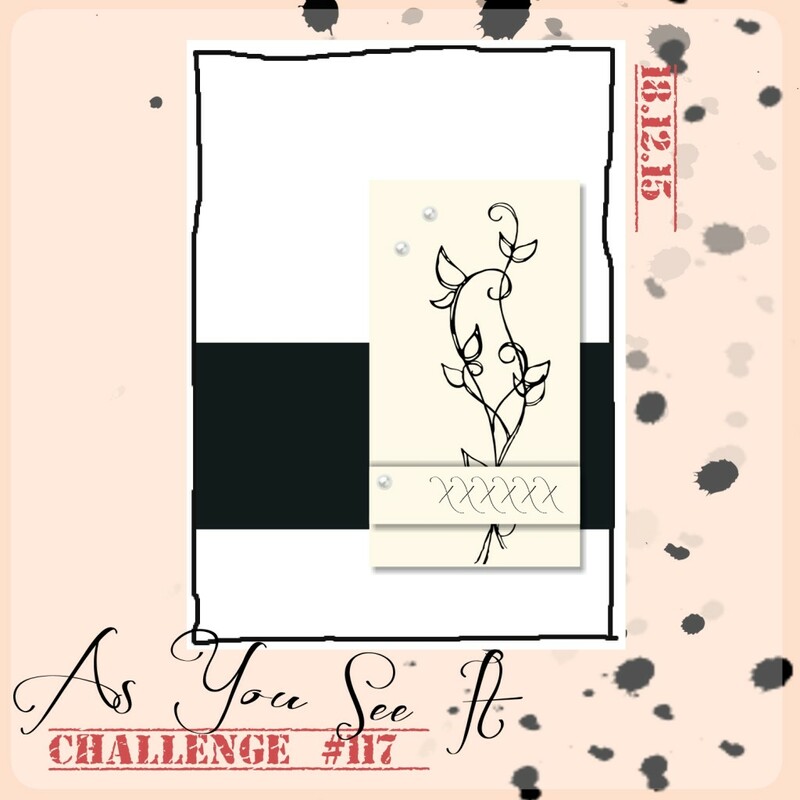 Merry Christmas and thanks for playing along with As You See It Challenges! 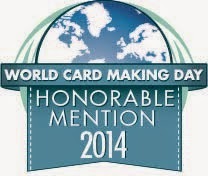 What an elegant card! Beautifully done! Thanks for joining us at AYSI! What an elegant card! Beautifully done! Thanks for joining us at As You See It!